I figured out the video editing and everything and got it up. I'm really excited since I know videos are so useful and fun sometimes and I haven't really known how or when do them, until now! I really hope you like it! 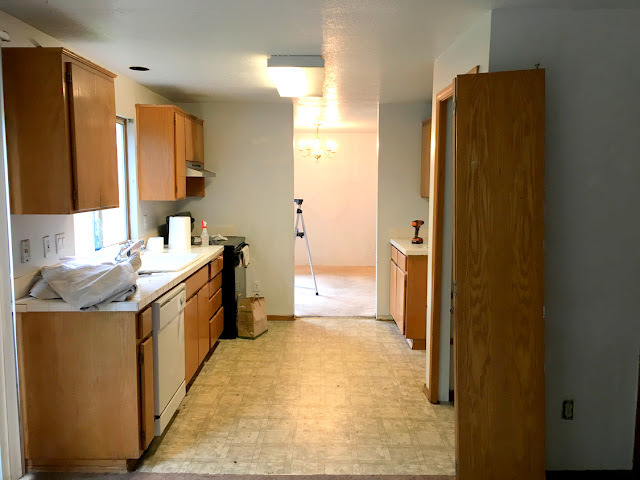 If you've been following along with my weekly updates at the reno, you already know some of what we're doing in the spaces in the tour! We didn't narrate too much, but actually already I know at least one of the projects I alluded to won't work, and there are tons others I didn't mentio that we will be doing soon! What do you think of the house???!?!!? What would you do with the fireplace, stair railings, and master bathroom??! We are excited for another weekend of lots of work at the house this weekend! Follow along on my Instagram Stories, I've been sharing a lot!